Head of Department ENT-HNS, Norvic International Hospital 2003- till date. 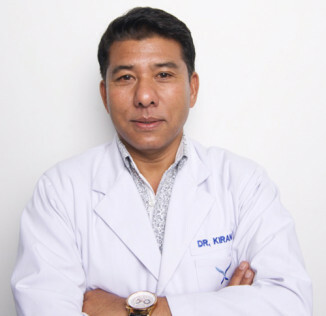 Senior Medical Adviser, Nepal Sports Medical Center. Doctor of Medicine, MD, Roster State Medical College Russia. Master in Surgery, MS (Otorhinology and Head and Neck Surgery), Armed Forces medical College, Pune, India. Otorhinology …… and Head and Neck Observer training books Army Medical Center Texas, USA. Otology/ Rhinology Observer training, Medical Center Hawaii, USA.